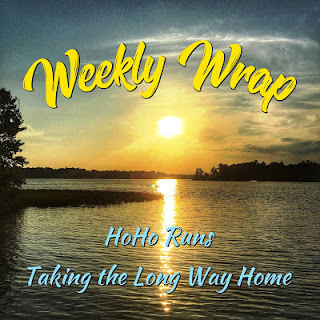 Linking up with Holly and Wendy for the Weekly Wrap. 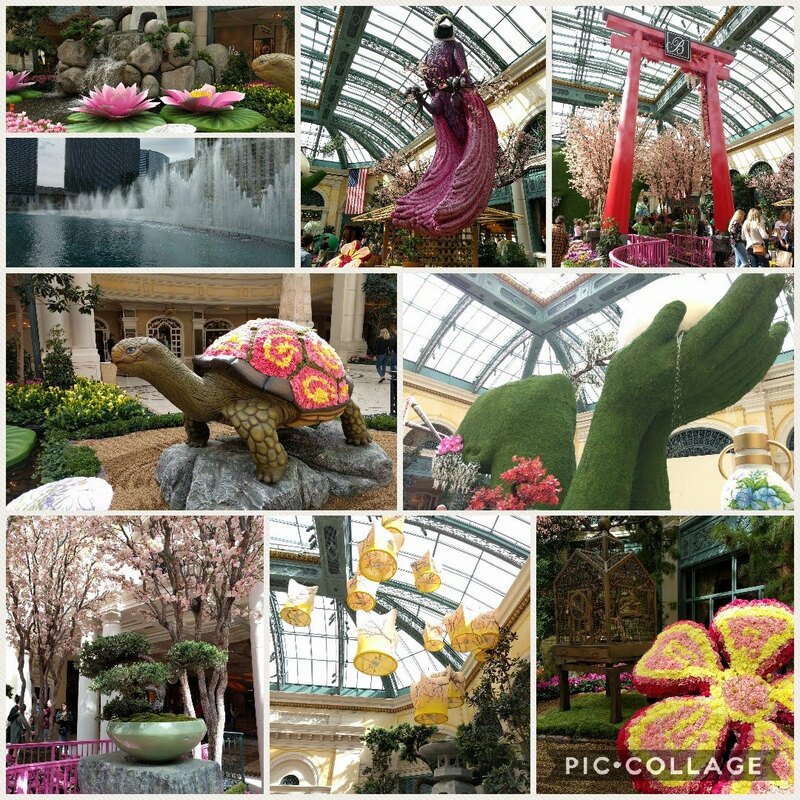 Be sure to stop by their blogs to see what everyone else was up to last week. I didn't feel super on Wed and especially not on Thurs. 😒 I ended up needing a rest day on Thursday, and I don't feel too bad about it. Sometimes, that's just life and you gotta be OK with it and move on. I wanted to run on Tue/Thu/Sat, but I just couldn't force myself out on Thu this week. Or Friday before work. Instead I grabbed running stuff so I could run after work before heading home. Other than some tech/user errors, it was a decent run! I paused every half mile or so for some triceps dips and incline push-ups. Slow Flow Jungle Yoga - 38 min - Five Parks Yoga ↠ This was incredibly slow moving. I found it difficult to concentrate on moving that slowly. I did get very sweaty, though, so it was definitely a good workout. We had some bigwig visitors from our corporate offices in town this past week. One of them wanted to go hiking after work on Wed, so I was happy to plan something. 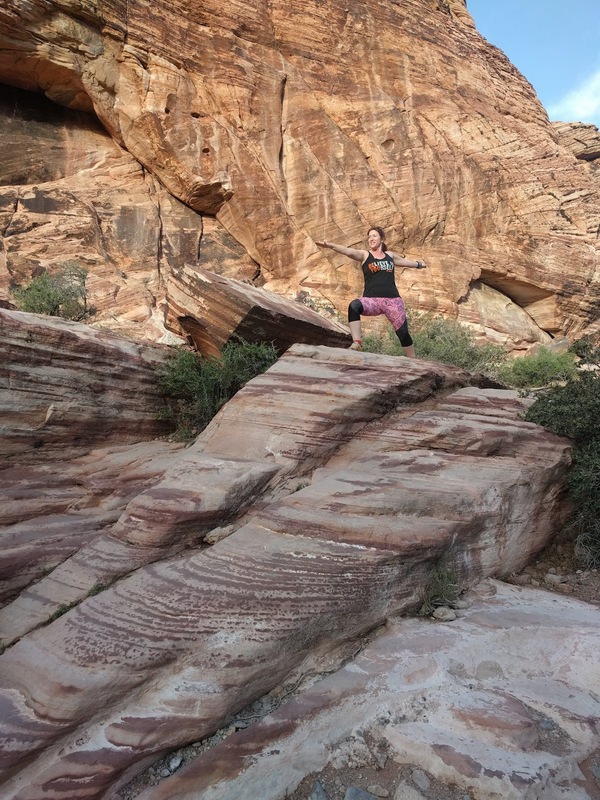 It ended up only being 4 of us to go, but we had so much fun on our short, little hike. It had been pretty windy during the day but wasn't too bad for us while hiking. The weather was actually pretty perfect. Thursday was a National Grilled Cheese Sandwich Day, so I helped organize a little grilled cheese party at the office. We had 5 kinds of cheese (American, Provolone, Gouda, Sharp Cheddar, Mild Cheddar) as well as bacon, tomatoes, avocados, spinach, and some apple slices. 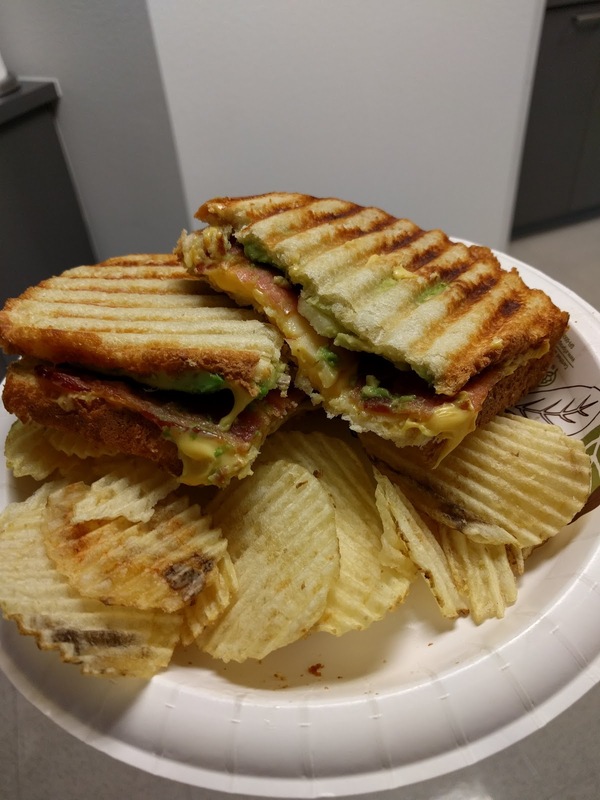 Everyone made and grilled their own sandwich and said it was a fun idea. It was also a fun mail week! I got some great socks for being a part of Club Tabio. I received 2 pairs of sports socks and one pair of fashion socks. I love the fashion socks. They're perfect for my workday walks when I don't bring walking shoes. The April StrideBox arrived this week, too. I'm really excited to try the edamame spaghetti! 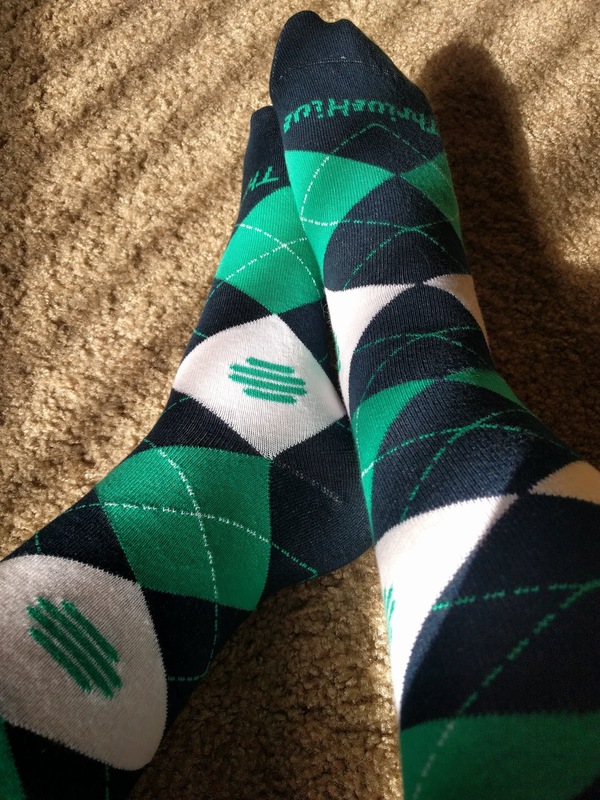 Not in the mail per se, but our corporate visitors brought us some company swag - SOCKS. 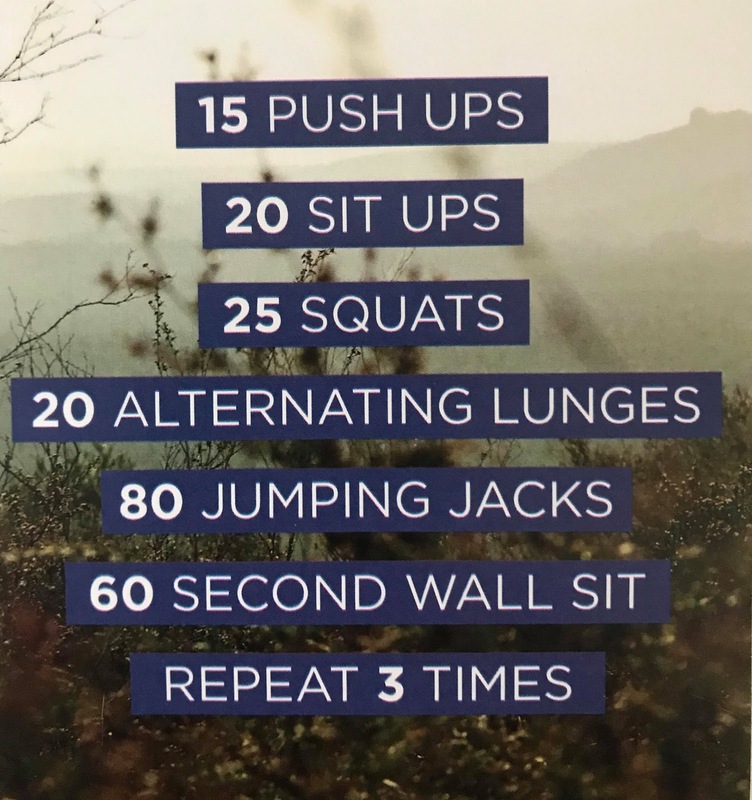 Best Hair Hacks for Your Active Lifestyle - Helpful hacks to help transform your hair from gym hair back to normal after a workout. Click on the image to read the post. 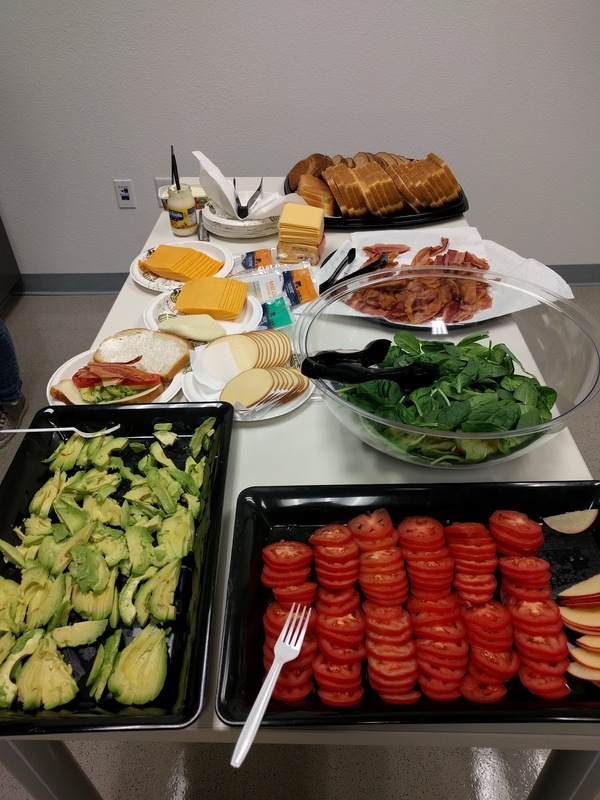 Does your office do anything for weird, random holidays? Do you take walks during the workday? 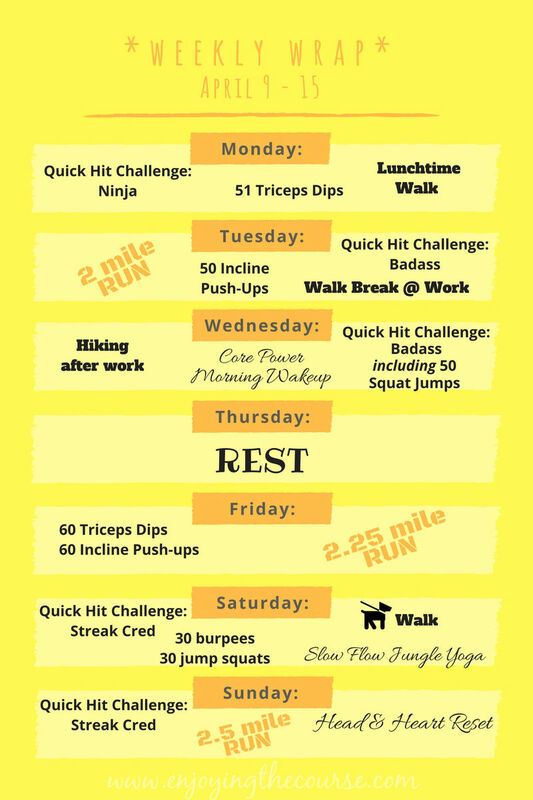 How were your workouts last week? Cute socks! 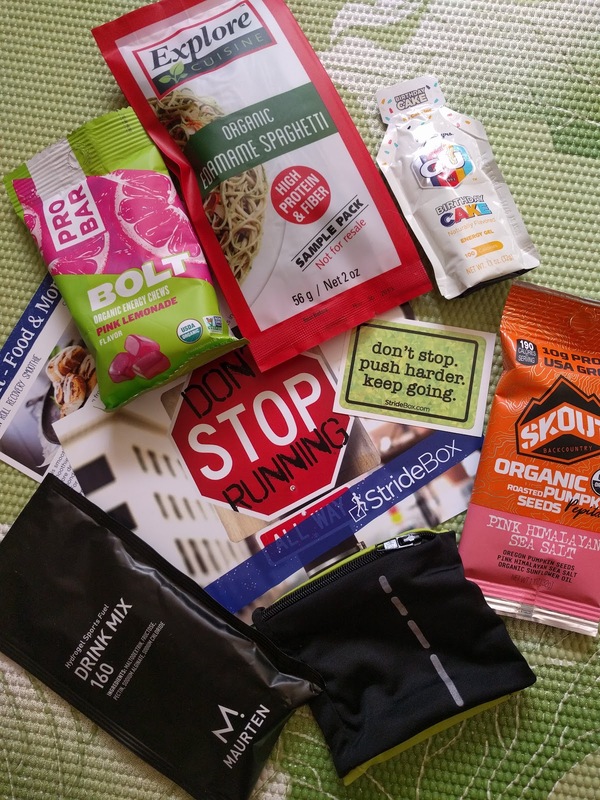 I loved this month's stridebox too ...it's like opening a Christmas present every month! How fun to get to go on a 'work related' hike. Have a good week Clarinda! So many cute socks last week. :) LOL The hike was really fun, too. I am going to checkout some of your yoga video ideas. Sometimes I just can't make it to class and I've come to really need yoga in my life. Have a great week girl! That looks like a great Stride box. I used to get that years ago and didn't use much of the products but it looks like it has gotten much better recently. I heard that birthday cake flavor GU is yummy! I hadn't heard of the birthday cake flavor yet. I hope it's good! I used to be better about walking during the work day but I have gotten out of the habit. At least now I have a standing desk so I don't have to sit all day. 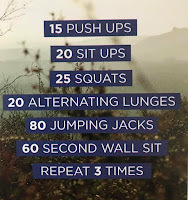 Great job with your workouts this week! I also really enjoyed this month's Stridebox. I wish that walking during the workday was more of a habit. :( I haven't been shooting for 2-3 times a week lately. What a fun week you had! I love that you took your colleagues out for that hike. And that grilled cheese party had me smiling too! 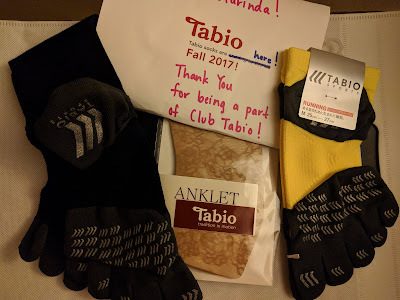 I"m loving my Tabio socks too! I need to share them on my blog. I also did the Slow Flow Jungle Yoga. It was deceptively hard but it was good! Right?! It took me quite awhile to get into the slow rhythm and when I did, it really kicked my booty. I usually run Tue/Thu/Sat, and Thursdays sometimes get axed if I've had a long week at work. I try not to, but sometimes I need an extra rest day. Let's Catch Up at the Ultimate Coffee Date!